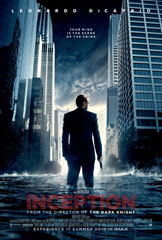 Inception is AMAZING! That rare combination of high-concept brain teaser with summer popcorn blockbuster. I love it! I am still laughing!